Rent a car for your holidays in Miami. 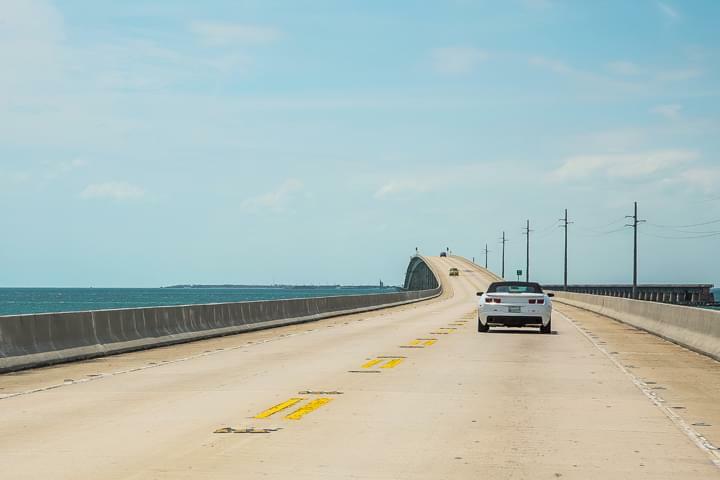 Florida is an ideal place to make extensive roadtrips along the coast. Pick up your rental car at Florida Airport. So you are mobile right after arrival in Miami and can start your holiday in a relaxed way. Simply compare offers for car rental in Miami online via the Car rental comparison portal. We have the offers of all major Miami car rental companies, which you can compare easily. Miami itself has so much to offer that you should definitely spend enough time in the metropolis. With your rental car you will experience the special lifestyle of Americans when they drive over the trendy highways or the world famous streets of downtown. Experience Ocean Drive, for example, not only as a stroller, but also join the queue of cars in Miami with your rental car. If you want to enjoy this unique way of life in a very special way, choose a convertible as a rental car in Miami. When you rent a car in Miami, you can choose from different vehicles. The great weather in Florida and the special attitude to life that a convertible gives you is a combination that will make your holiday unforgettable. Feel the warm wind as you drive through Miami openly, listen to your favourite music and enjoy the feeling that only Miami can offer. 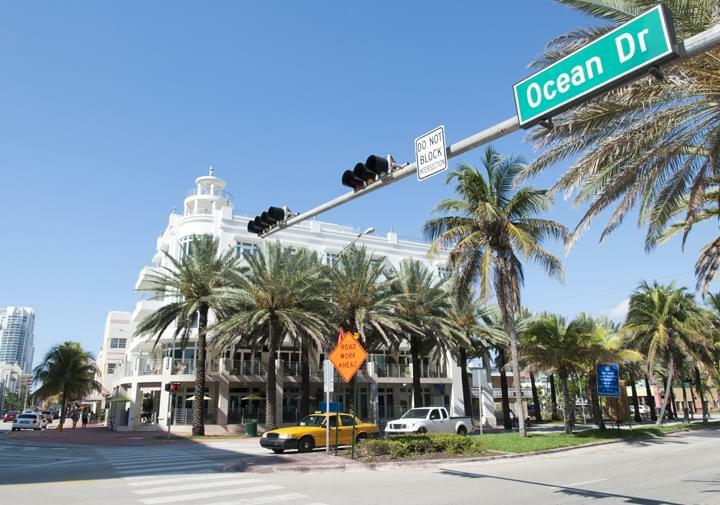 On your tour of Ocean Drive, you can make various stops to shop in the many shops or eat in one of the good restaurants. Renting a car in Miami is a very special experience when you choose a convertible. You can also use your rental car to reach destinations outside Miami. Drive along the coastline and relax on secluded beaches that you can only reach with your rental car. The unique lifestyle of the Americans will surely take you home with you. 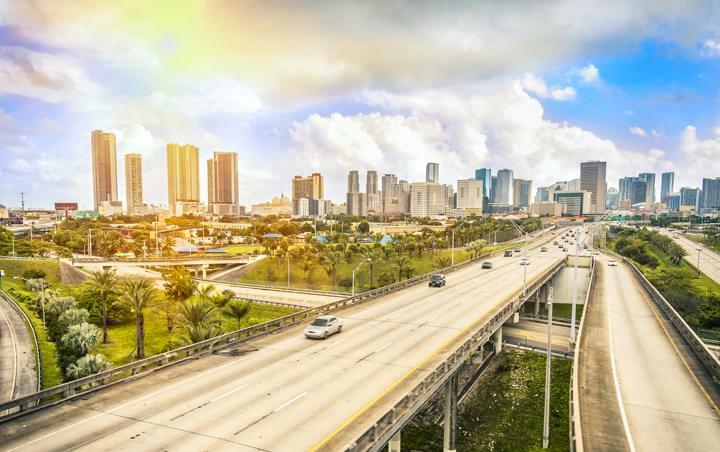 In addition to the Florida Keys, the Everglades and the sights you can discover with your rental car in Miami, there are also many places of interest in the surrounding area. When you rent a car, you can travel several hundred kilometres in one day and discover the Florida Peninsula. Everywhere you will find great beaches that are not as crowded as in Miami and where you can relax. Visit the world-famous Disney World in Orlando and experience the enchanting world that fascinates children and adults alike. The city of Orlando also offers a lot of interesting sights, so that you can make a short trip to Orlando with your rental car from Miami for a few days. The space center Cape Canaveral is also located in Florida and can be easily reached by car from Miami. Even if you are not lucky enough to see the launch of a rocket live during your stay at NASA, it is still worth a visit. They can penetrate deeply into the work of the centre and the tasks of space travel. The exciting visit will surely be a special highlight of your holiday in Florida. A visit to Fort Lauderdale is also a good recommendation for those who are in Florida for the first time. There you can not only visit the former army base of the Second World War, but also experience the special magic of Florida's third largest city. You can get to Fort Lauderdale in less than an hour by car. Miami is one of the largest cities in the state of Florida on the east coast of the United States of America. Florida is one of the most popular holiday regions in the USA. From Florida you can take a trip with your rental car to the holiday paradise Fort Meyers. Florida has a mild climate all year round. The beautiful beaches and many interesting destinations attract visitors from all over the world every month of the year. 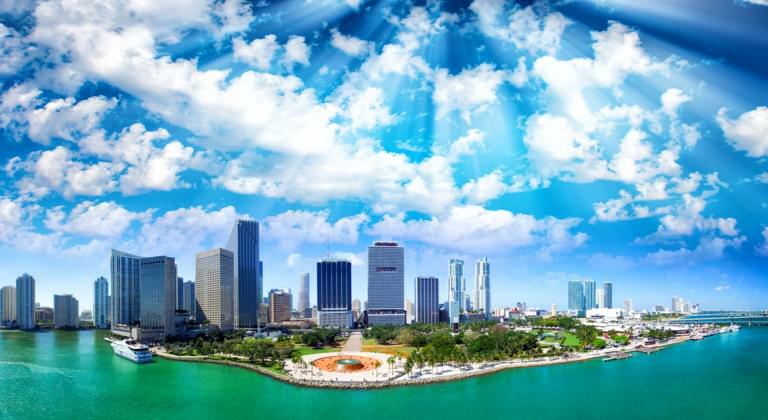 Not only Miami itself, but also the surrounding area offers many attractions that are impressive and enriching to visit. If you are planning a holiday trip to Miami, you should include a rental car in your planning. With a rental car in Miami you are independent of public transport or a taxi. When you rent a car in Miami, you can plan all tours individually according to your interests. The rental car in Miami can accompany you throughout your holiday. Alternatively, you can choose to rent a car in Miami for one or two weeks. During your stay in Miami you can relax on the beach for a few days and then explore the surrounding area with your rental car. Renting a car in Miami is very easy. Car rental is available at the airport. If you wish, you can pick up your rental car in Miami right after you land. You are independent of transfers and start your stay relaxed and as you imagine it. Drive your rental car to your hotel in Miami and plan your stay from there. When you rent a car in Miami, you can also be very spontaneous. Your stay will be a special experience if you can arrange it the way you like it. Compare offers from Miami car hire companies and save money on your holiday fund by booking through Driveboo. You are completely free to plan your tours that you would like to do with the rental car in Miami. Enjoy the sights of Florida's capital city and drive to the beach with your rental car in Miami to enjoy the unique weather in Florida. Explore famous sights such as the Florida Keys or the Everglades. Drive your rental car in Miami to Orlando and visit the famous Disney World. You can also visit NASA's space center with your rental car in Florida. The relaxed and independent travel that you experience when you rent a car in Miami will inspire you.